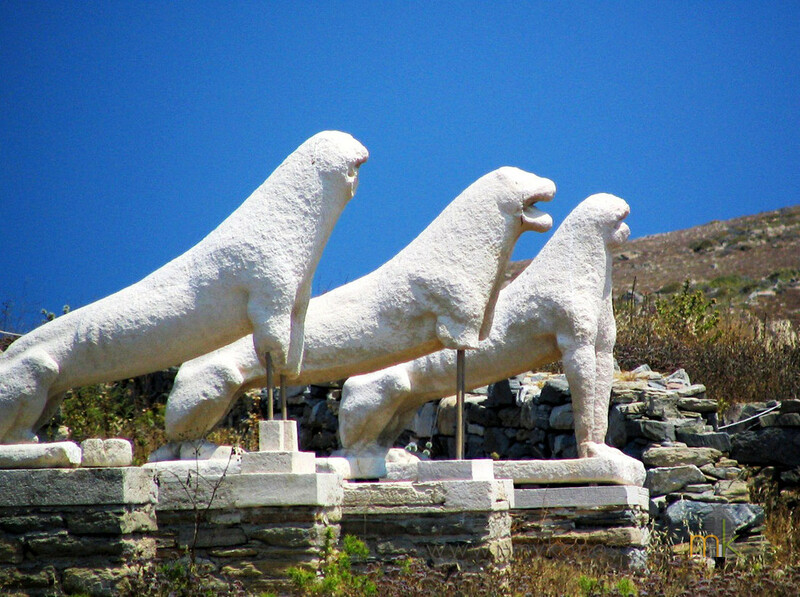 Delos is located in the centre of Cyclades archipelago and only 6 nautical miles south west of cosmopolitan Mykonos. 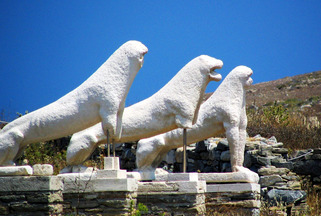 Actually, Cyclades owe their name to the location of delos as all the islands belonging to this island group form a circular structure around Delos. 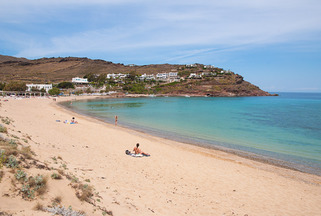 According to the greek mythology, it is the place where the goddess Artemis and the god Apollo were born. Therefore, as it was considered a sacred place, no mortals were allowed to be born or die there. 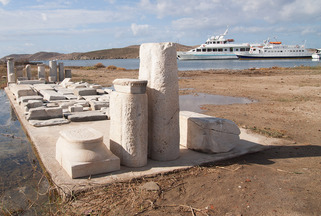 Rineia, a small island just across Delos, was used for these purposes. 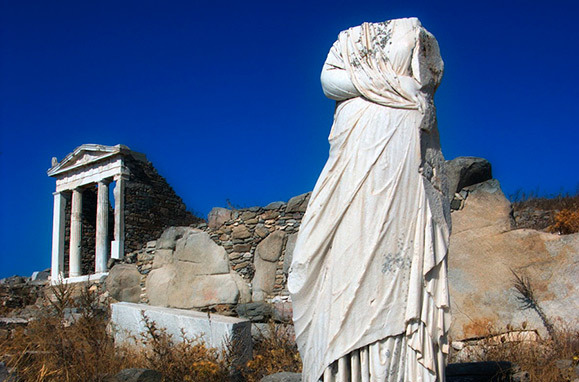 Delos is part of UNESCO's World Heritage Site List and it is one of the most important mythological, historical and archaeological sites in Greece. 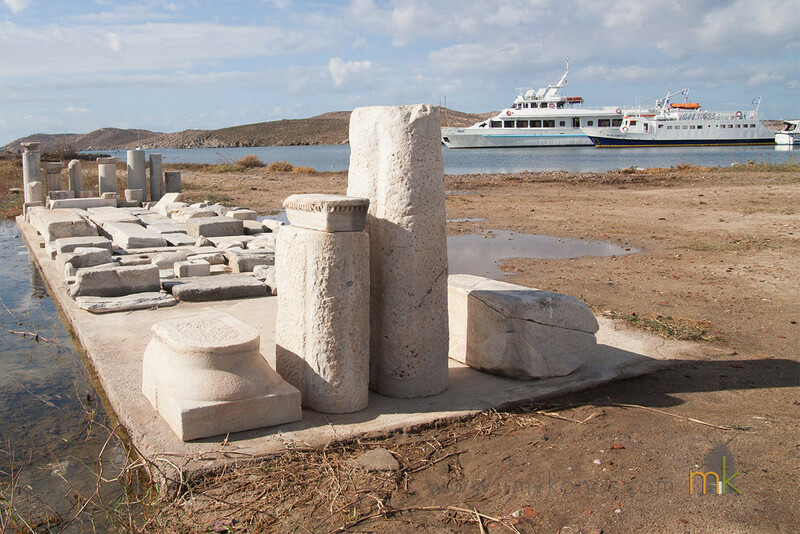 Approaching the small port of Delos, visitors can admire the monuments and feel the energy of this sacred place. The excavation project that began in 1872 and it is still in progress has revealed most of the part of the hellenic city. 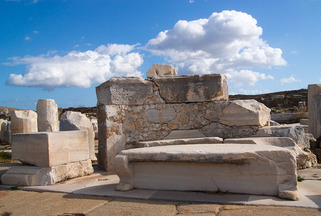 The market squares, the temple of the Delians, the Terrace of the Lions, the House of Dionysos are the most important sites. 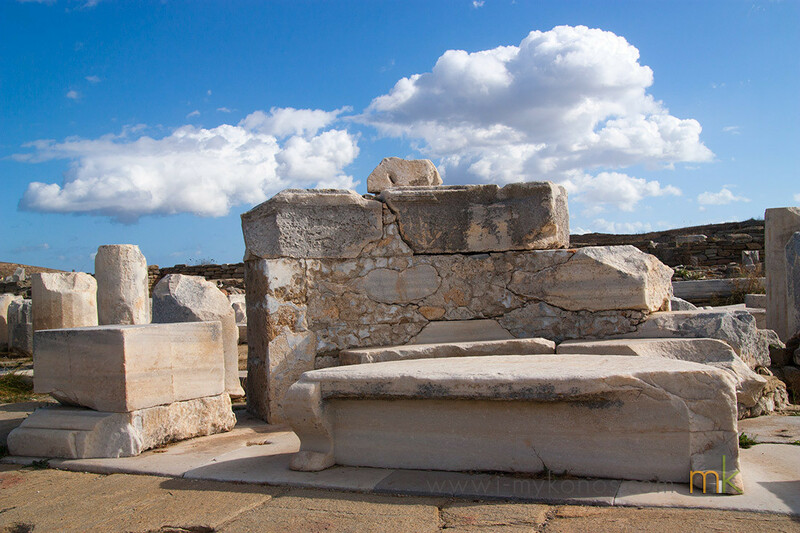 The top of Kynthos, the hill where-according to the greek mythology- Zeus, the king of the gods, observed the birth of god Apollo offers a breathtaking view of the whole island and Mykonos island as well. The archaeological museum is considered one of the most important museums of Greece. It is divided in nine rooms of different times and themes including a plethora of displays such as statues, mosaics and lekythos of high archaelogical value. 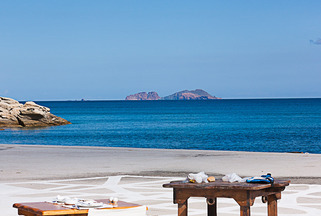 There are boats from Mykonos to Delos in a daily basis. 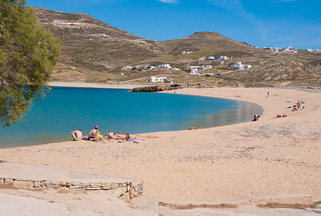 The boats depart from the small port in the town of Mykonos near the Town Hall and the journey lasts approximately thirty minutes. 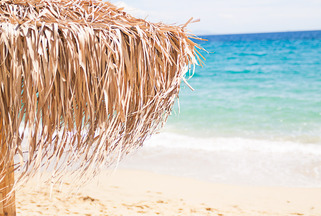 Tickets can be baught from the ticket office at the port or from the various travel agencies.